After dropping the compilation our friends from Resident Advisor give you the opportunity to listen to all the brand new tracks. Take a sneak peek and exclusively listen to the compilation here. If you like our music, you can buy the compilation on Hard Wax here. 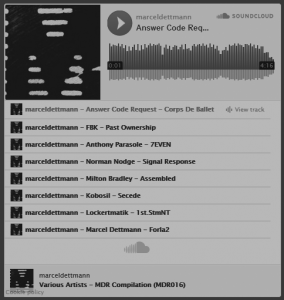 Vorheriger Beitrag:MDR Compilation out now!